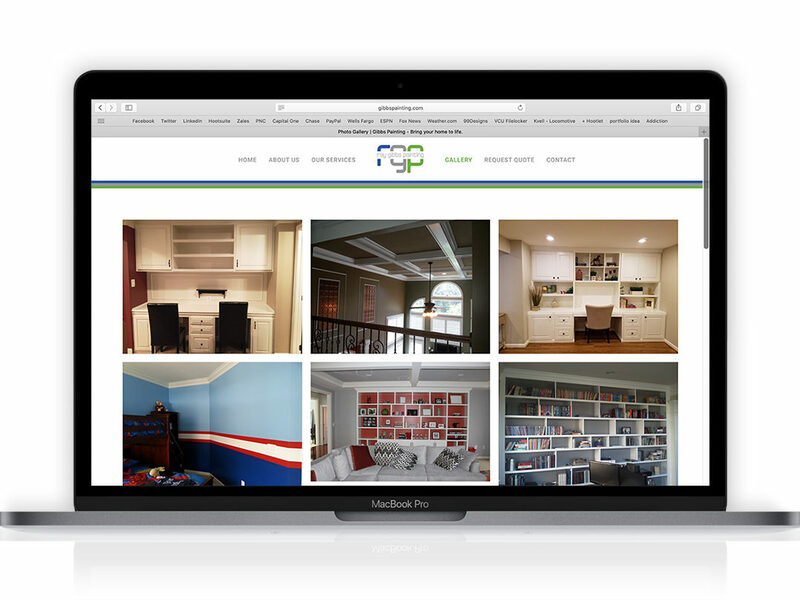 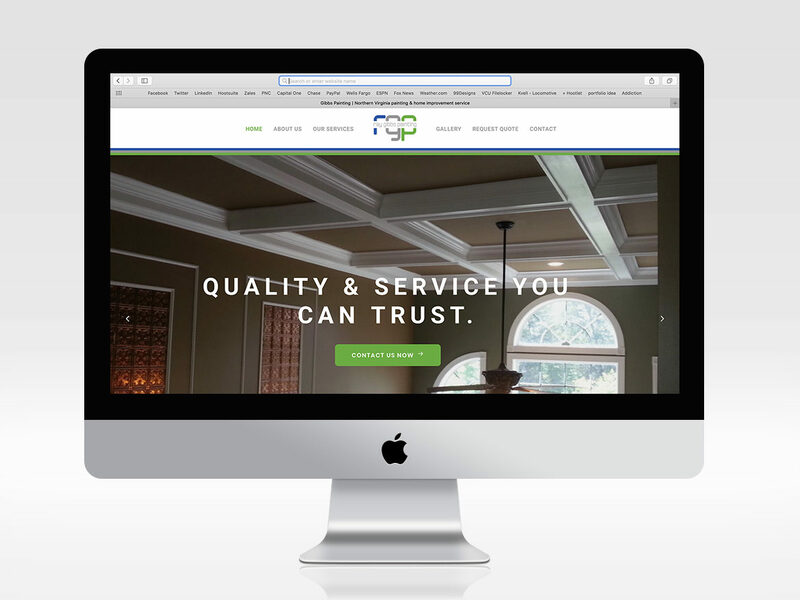 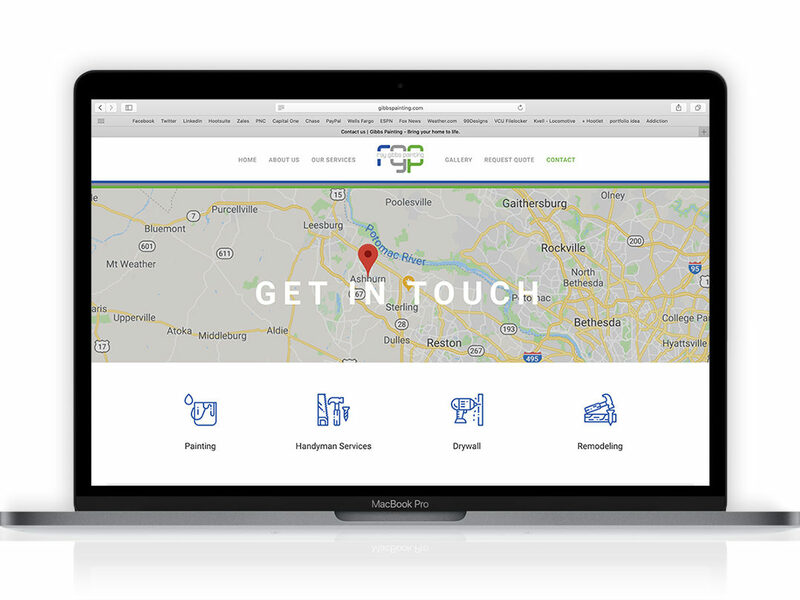 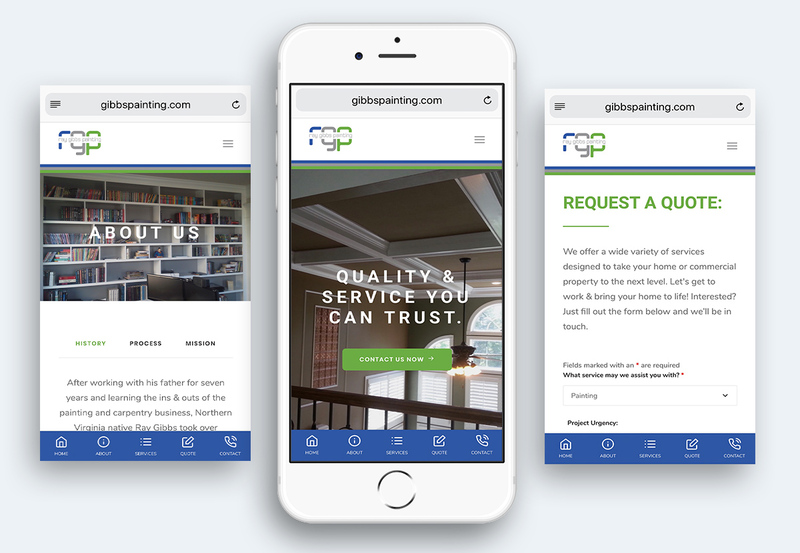 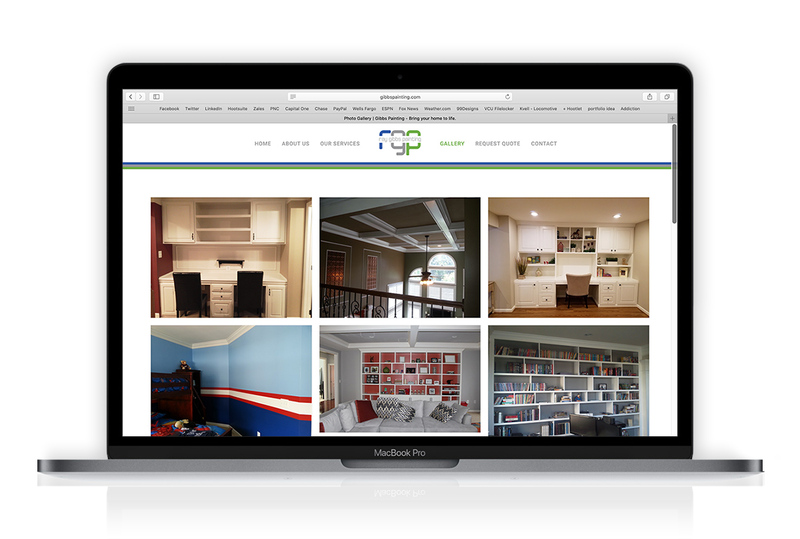 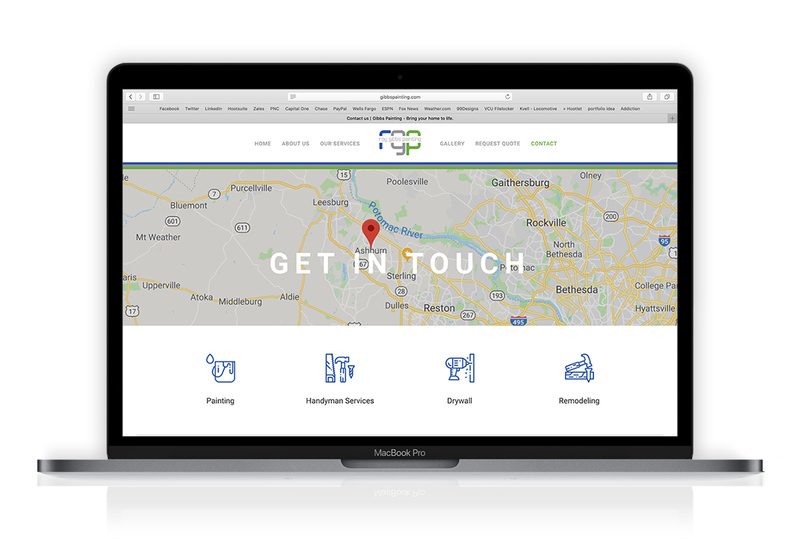 Gibbs Painting, a small painting/contracting business in Northern VA, needed a new website design that was easy to navigate & allowed prospective clients to view testimonials & samples of past work. 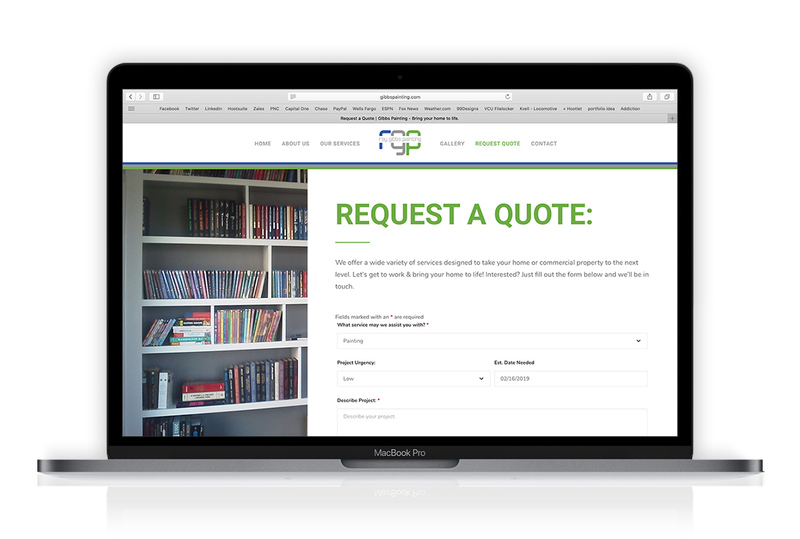 They also wanted a way for prospects to reach out for pricing & quotes directly from the site. 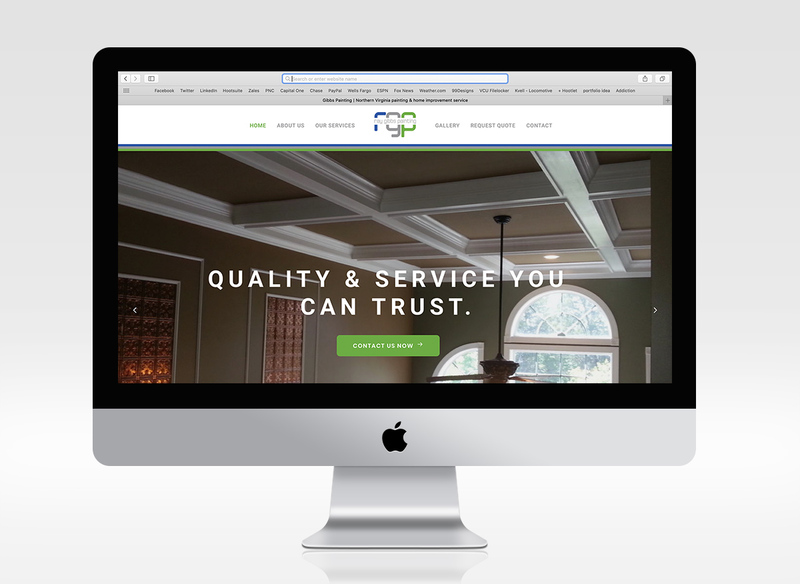 Working within their brand standards, I designed a clean, easily navigable responsive website experience for screens of all sizes. 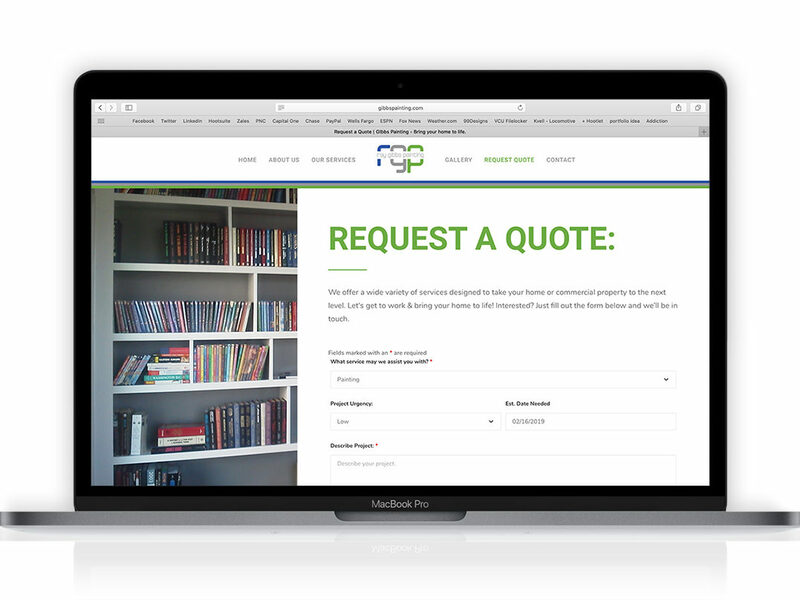 It features a clear hierarchy of info, beautiful full-screen imagery & photo gallery for viewing past work, a convenient built-in quote request form, personalized iconography to highlight services, and a convenient mobile bottom navigation bar for a fluid user experience.